These are sweet and spicy like the label says, but special in a few other ways! Decided to try something new the other day, and thought I would write a little about it. Seeing ‘Sweet and Spicy’ on the side of these, I imagined they would be like bread and butter pickles, but with a kick. That’s really not the case. Here is what they have in them. When you first open these, you can really smell the sweet onion. After a moment the spice kicks in but it’s not overwhelming. 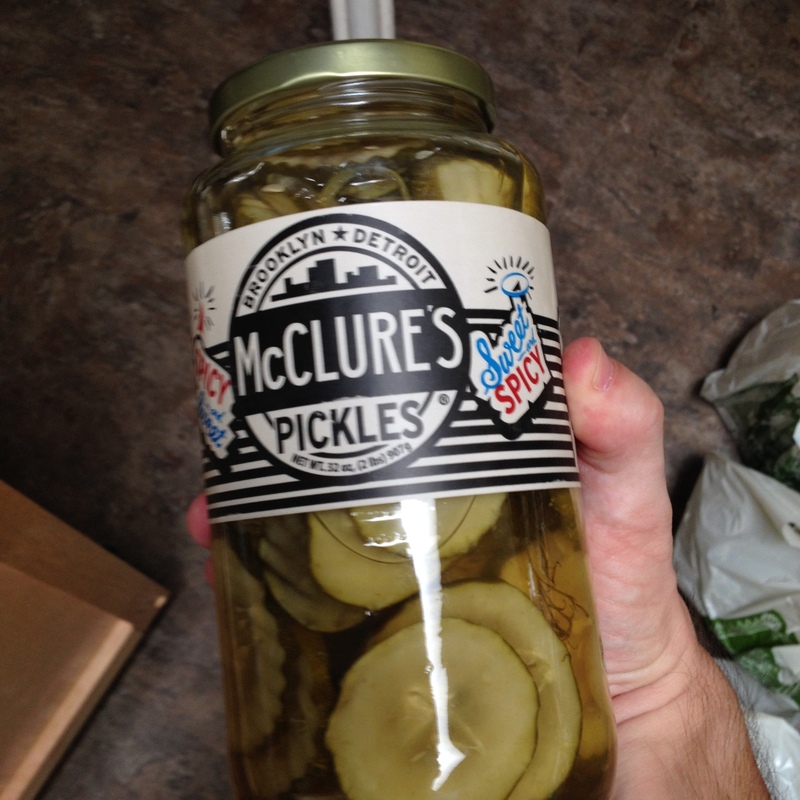 The texture is nice too, McClure’s knows how to pickle. Their ingredients list doesn’t include Calcium Chloride, and there were no grape leaves in the jar. You won’t find super soft pickles here. I’m amazed because the pickle chips themselves are very thin. Now, if you like spice, these are a good pickle for you. They are not like generic Bread and Butter pickles. These stand alone. I like spice from time to time, so I’m not complaining. I would say that Wickles Pickles are more spicy right away, but the spice in these lingers for a good half-hour. Wickles’ spice lasts for about five to ten minutes for me. This is my first experience with habanero in pickles, and I do like! Another taste will confirm that, but you have to do what you have to do. Again, not complaining. Two thumbs up. Well done McClure’s! Previous Previous post: War has been declared.